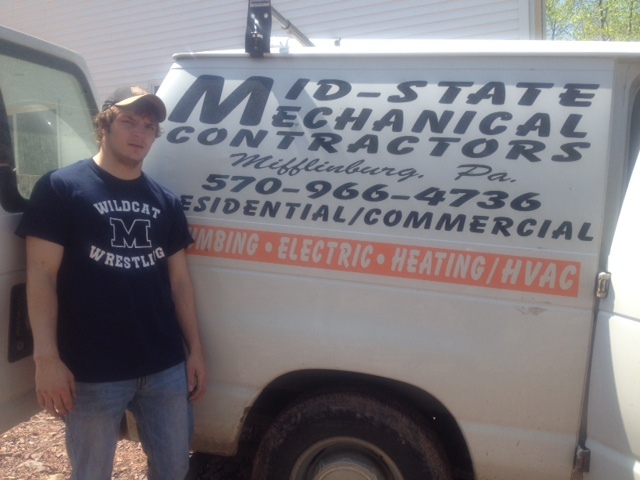 HVAC student Ryan Gessner has been traveling with Mid-State Mechanical Contractors out of Mifflinburg, PA to Gillett and LaPorte, PA. As Ryan states, “I’ve gained a lot of on the job experience in just two short weeks and will gain a lot more in the coming months. 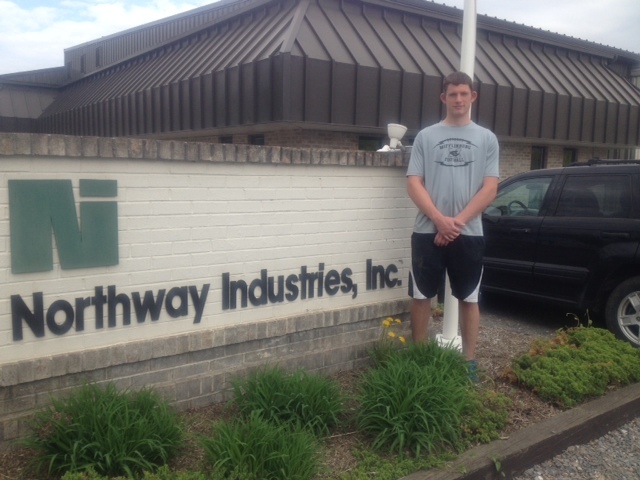 As Mr. Weisser, Co-op Coordinator noticed in his travels to these work sites, “Ryan Gessner is the ultimate team player, I saw this trait in him during the past year on The Mifflinburg HS Football and Wrestling teams. He will do anything to get the job done. His HVAC Instructor Mr. Snook has really brought this young man around nicely in this high demanding job.” Mid State Mechanical Contractors has a nice mix of employees to mentor these outstanding SUN Tech students. For more information about SUN Tech’s cooperative education program and to learn how you can earn money and valuable work experience during your senior year, check out our Co-op page! 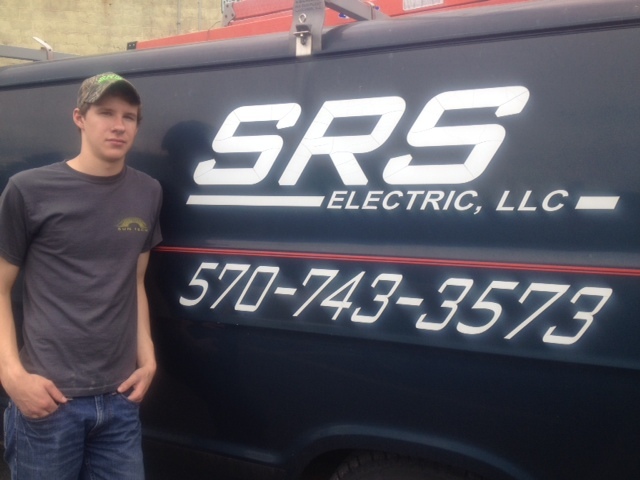 SUN Tech Electrical Program Co-op Student Alan Dreese has been leaving each morning at 5:30a.m. from SRS Electrical Corporate Headquarters in Shamokin Dam and traveling to Lancaster to install fixtures, lights and panels for the well publicized SHEETZ SUPER STORE. On site this morning, over 40 contractors were working a a feverish pace to stay on a strict guideline. Alan’s supervisor and SUN Alumni Jason commented, “Alan has gotten a quick taste of working in this field, traveling to this site, which we’ll be here another 4 weeks and dealing with various contractors deadlines”. A REAL WORLD EXPERIENCE. Thanks SRS and Alan Dreese for Making It Happen. For more information about SUN Tech’s cooperative education program and to learn how you can earn money and valuable work experience during your senior year, check out our Co-op page! 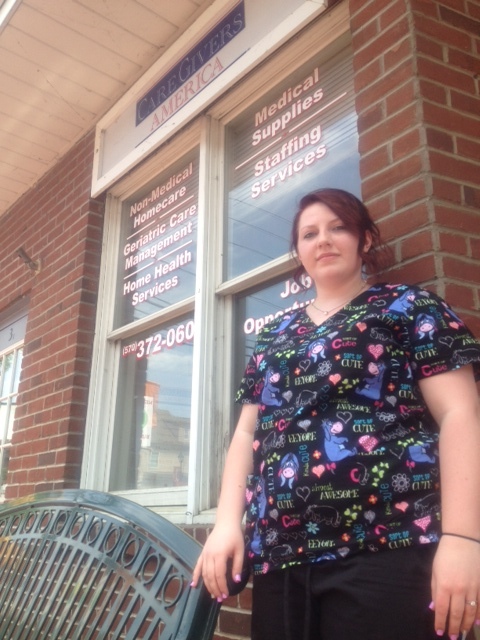 Health Professions and Related Sciences 201 student Autumn Shreck stands in front of the home offices of CAREGIVERS in Selinsgrove. Staff members commented on how well Autumn has adapted to various environments. She is making SUN Tech Instructor Mrs. Pat Millett very proud. For more information about SUN Tech’s cooperative education program and to learn how you can earn money and valuable work experience during your senior year, check out our Co-op page! 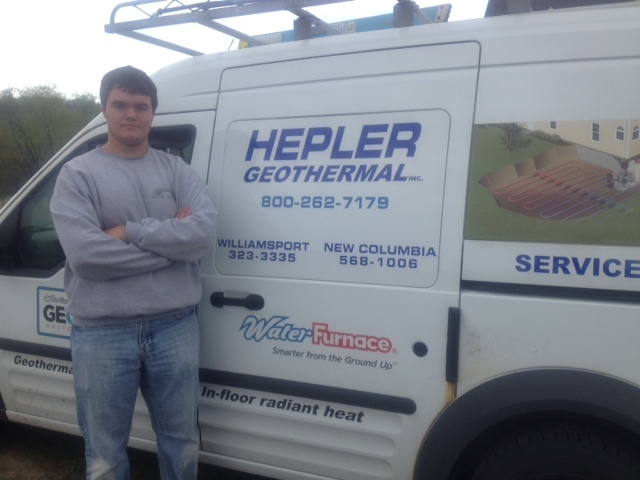 After extensive training in Grantville, PA HVAC student Chase has had numerous residential sites to work at with Hepler GEOTHERMAL. The owner loves his appetite to learn. Way to Go, Chase! For more information about SUN Tech’s cooperative education program and to learn how you can earn money and valuable work experience during your senior year, check out our Co-op page! Barnes & Nobles and a Physical Rehab facility. 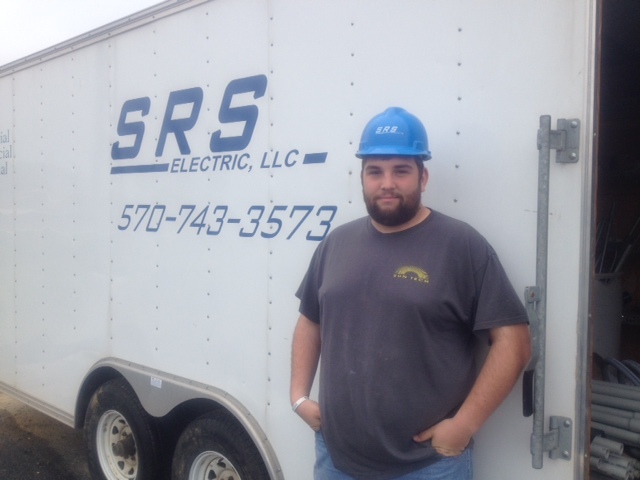 SRS Electrical has been providing numerous work sites for Ryan. For more information about SUN Tech’s cooperative education program and to learn how you can earn money and valuable work experience during your senior year, check out our Co-op page! 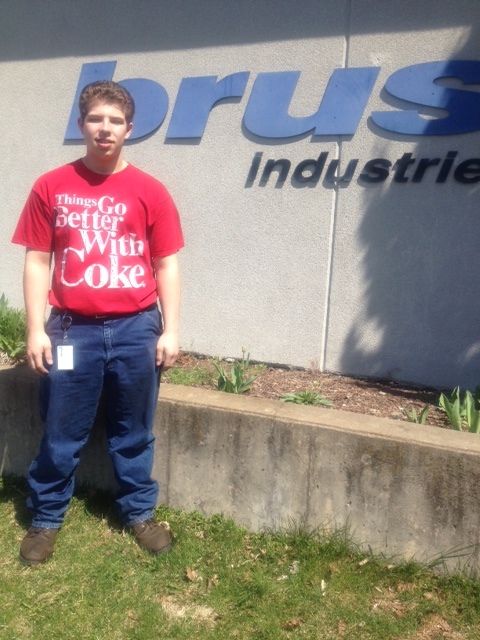 Advanced Precision Machining student Logan Finsterbush takes a break this morning from his job at Northway Industries. For more information about SUN Tech’s cooperative education program and to learn how you can earn money and valuable work experience during your senior year, check out our Co-op page! 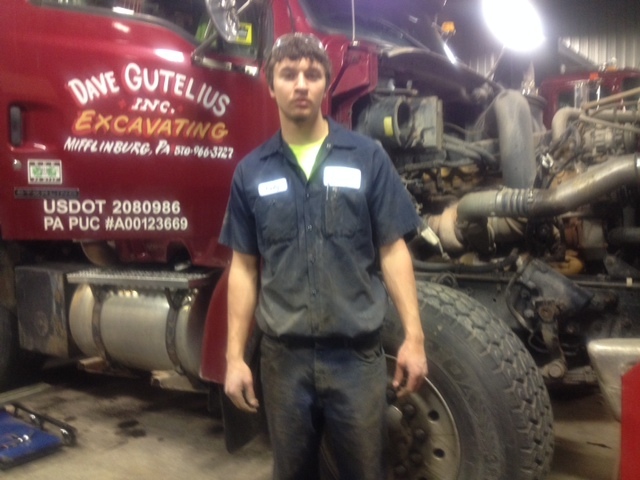 Cody Stahl, a Diesel & Truck Technology student is a standout at Dave Gutelius Excavating of Mifflinburg. For more information about SUN Tech’s cooperative education program and to learn how you can earn money and valuable work experience during your senior year, check out our Co-op page! A strong tradition of placing Automotive Technology students at Selinsgrove Ford continues with SUN Area Technical Institute’s advanced Auto student David Mowery of Selinsgrove High School. Automotive Technology instructor David Hauck thoroughly prepares students for careers and in post secondary educational advancements. 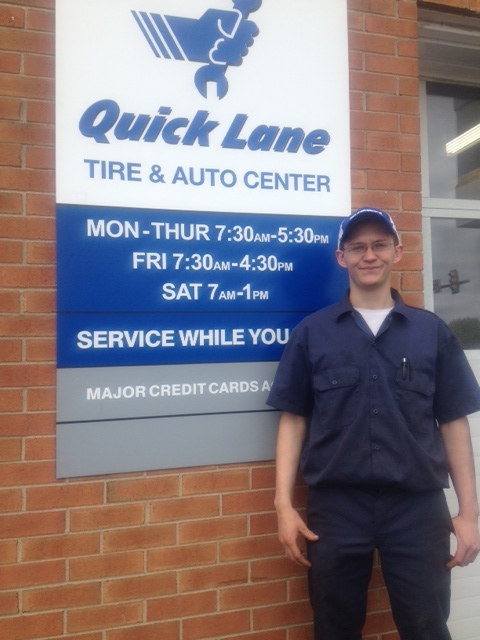 This is truly the case, as Selinsgrove Ford couldn’t be happier with the work ethic and skill level of this outstanding student. Together, business and SUN Tech Make It Happen. For more information about SUN Tech’s cooperative education program and to learn how you can earn money and valuable work experience during your senior year, check out our Co-op page! 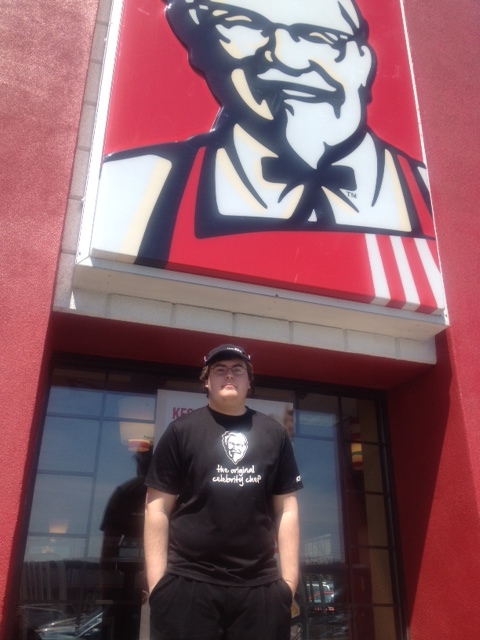 Food Service student Tyler Lieberman makes massive amounts of Kentucky Fried Chicken in Shamokin Dam, PA for a hungry lunch time crowd. For more information about SUN Tech’s cooperative education program and to learn how you can earn money and valuable work experience during your senior year, check out our Co-op Page! Collision Repair Technology Jonathon Lloyd takes a break from masking off a project at Nyes in Sunbury. His co-workers speak volumes about his work ethic. For more information about SUN Tech’s cooperative education program and to learn how you can earn money and valuable work experience during your senior year, check out our Co-op page! 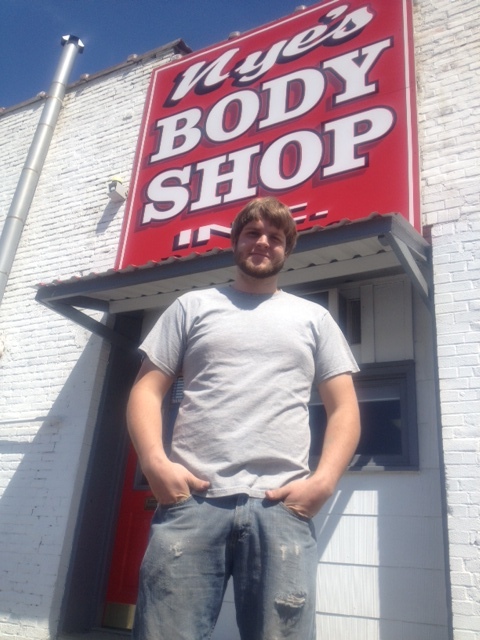 Kevin Seebold poses in front of Brush Industries in Sunbury, PA. He has quickly risen to a key contributor at this company. Another Shining example of our Advanced Precision Machining Program. For more information about SUN Tech’s cooperative education program and to learn how you can earn money and valuable work experience during your senior year, check out our Co-op page! 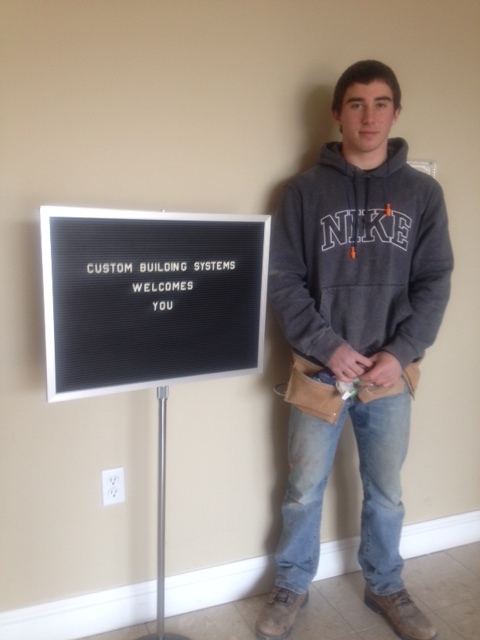 Brandon Crossley poses at Custom Building Systems of Middleburg. This HVAC student has been on his Co-op experience less than a week and has made a positive impact at his job. For more information about SUN Tech’s cooperative education program and to learn how you can earn money and valuable work experience during your senior year, check out our Co-op page! Electrical Systems Technology student Joshua Derr takes a break from running electrical lines at Professional Building Systems. For more information about SUN Tech’s cooperative education program and to learn how you can earn money and valuable work experience during your senior year, check out our Co-op page! 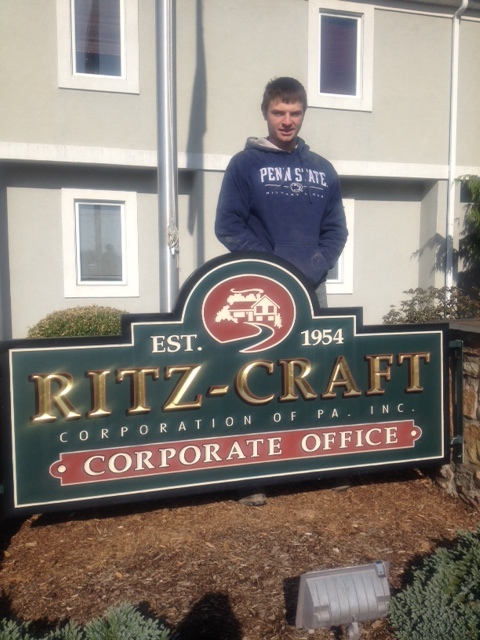 HVAC student Dalton Walls poses in front of his place of employment. 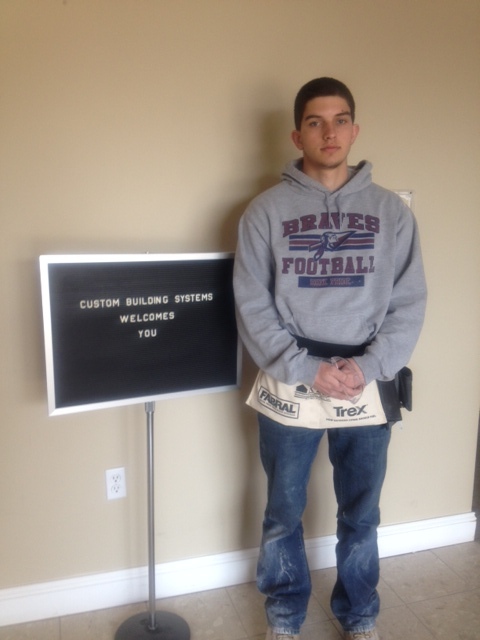 Supervisors have stated that Dalton has a very strong work ethic and skill set. 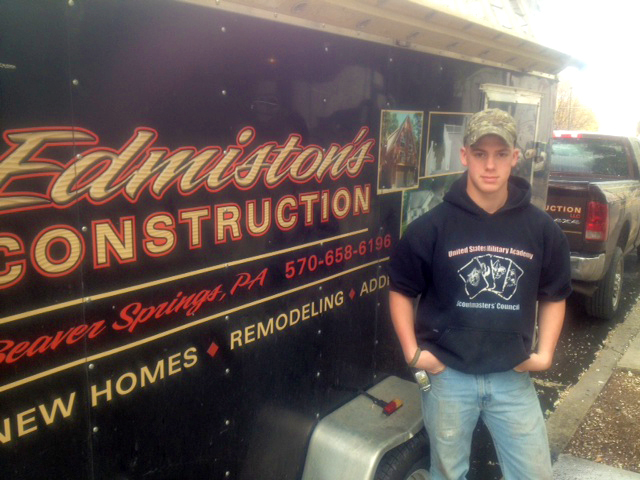 Dalton is another shining example of Mr. Snook’s HVAC Program. For more information about SUN Tech’s cooperative education program and to learn how you can earn money and valuable work experience during your senior year, check out our Co-op page!